Since 2013, the Judo for Peace (JFP) Commission has been extremely active in different areas of the world. Activities have been focused on three kinds of region; conflict, post-conflict and socially disordered. Some of the projects led by the JFP Commission are purely peace projects, while in others, JFP is part of more global programmes such as the Judo Educational Journeys (JEJs) through the likes of China, Canada and Oceania. The International Judo Federation (IJF) has a Memorandum of Understanding with the United Nations Office on Sport for Development and Peace (UNOSDP), whose youth leadership training camps are regularly participated in by the JFP Commission. The JFP Commission collaborates with the other IJF Commissions involved in education and particularly with the Educational and Coaching Commission and the Judo for Children Commission. From 2015, with the support of the Turkish Judo Federation, the IJF has been developing a large programme in Syrian refugee camps within 60 kilometres of the city of Aleppo while under the bombs. JFP is also present in the Maheba and Dzaleka refugee camps in Zambia and Malawi respectively, hosting thousands of African refugees. For many years, the IJF has also been present in the Great Lakes region of Africa and provides logistical, financial and human support to lay the foundations for a more prosperous future in Burundi and Rwanda. 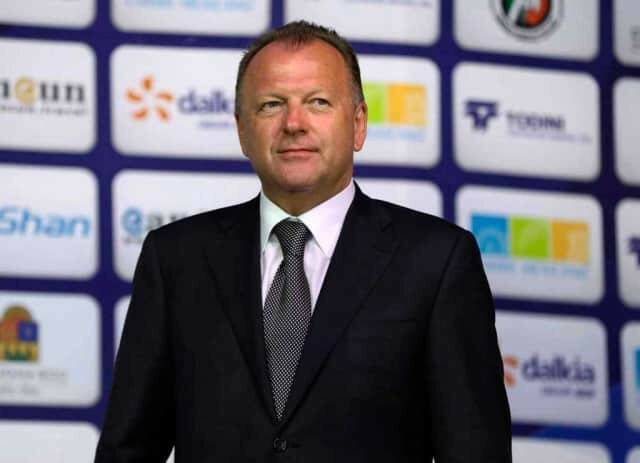 “The philosophy and pragmatic approach of our Judo for Peace programmes, combined with other educational value-added actions, allow us to be present at all levels of society, whether in areas of armed conflict or areas with social problems,” IJF President Marius Vizer says. “I can guarantee that all those programmes have a positive impact on the beneficiaries. The International Judo Federation (IJF) set up its Gender Equity Commission in November 2013. The Commission’s director is Great Britain's Lisa Allan, the competition manager at London 2012 who now fulfils the same role at the IJF. Among the six Commissioners are Estony Hattingh, President of the Botswana Judo Federation, and France’s Jean-Luc Rougé, general secretary of the IJF and former world champion in the under-93 kilograms division. They are joined by Rozalia-Ibolya Biró, Croatia’s Sanda Čorak, Australia’s Kate Corkery and Hungary’s Larisa Kiss. 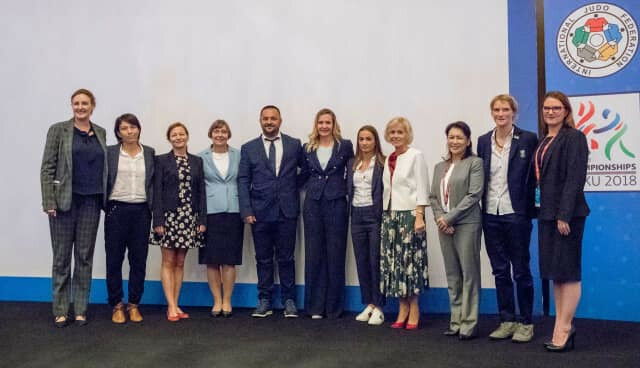 On September 19, 2018, one day prior to that year’s Judo World Championships, the IJF hosted its inaugural conference on gender equity in the Hilton Hotel in Azerbaijan’s capital Baku. The conference was chaired by Allan. In her motivational speech, Biró, member of the Romanian Parliament, informed the attendants of an important lesson one of her mentors once taught her; don’t try to do what everybody does, do something that is hard, something that you need courage to do. Čorak, President of the Croatian Judo Federation, gave some interesting feedback about an IJF survey conducted in 2017 regarding the position of women in National Judo Federations (NJFs). IJF mailed a questionnaire to all its members with 52, or 26 per cent, of them returning a completed version. Twenty NJFs have established a Commission on gender equality, while 30 have started activities to empower women in judo and 38 follow National Olympic Committee recommendations. Corkery, President of the Australian Judo Federation, took to the floor as the last speaker of the day. “We know that men and women have different strengths through thousands of years of evolution,” she said. The International Judo Federation (IJF) announced the launch of World Judo Day at the end of 2010, set up to take place every year on October 28, the birthday of judo’s founder Jigoro Kano. World Judo Day aims to promote the values of the sport and its education system to all judo clubs and all judoka, through IJF Member Federations and with the help of modern communication tools. 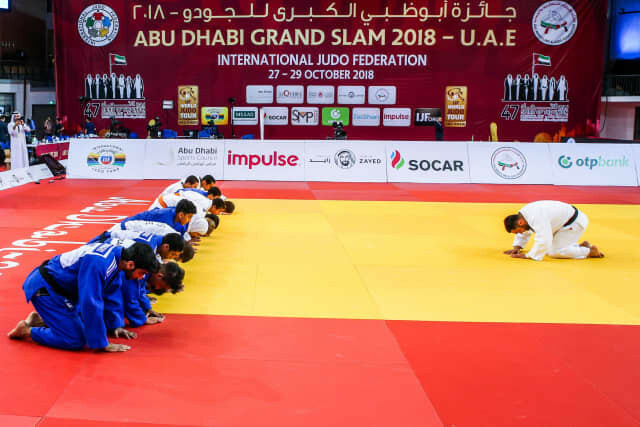 In 2018, three-time world champion and Athens 2004 Olympic gold medallist Ilias Iliadis of Greece led a special World Judo Day masterclass during the break on day two of the Abu Dhabi Grand Slam. Local children and senior members of the United Arab Emirates national team alike were put through their paces by the legendary judoka who officially retired in 2017. Iliadis, who won Olympic gold at the age of 17, led a warm up as the world watched live on the IJF Facebook page. The children’s smiles were beamed around the world in a fun and friendly atmosphere that, it is claimed, beautifully illustrated the 2018 theme of “friendship”. Greece’s Beijing 2008 Olympic flagbearer squared off against each participant of the masterclass in randori, a term used in Japanese martial arts to describe freestyle practice. The younger members also politely requested a second contest against their world-renowned coach, who duly obliged. Iliadis credits judo with shaping his life and making him the man he is today. The goal of Judo for Children (JFC) is to integrate judo into school curriculums so that children can benefit from the sport and learn its values ​​in order to create a more just society. JFC strives to fight against any kind of discrimination and segregation, promoting an educational activity that helps to build the mind and body of the younger generations. It aims to instil the values of judo such as respect, honour, friendship, self-control, modesty, politeness and give them skills for life. JFC is active in countries all over the world, especially in sectors where social disorders destroyed the social network and where values have been lost. Latvia officially signed up to the JFC programme in September 2018, joined the list of countries - more than 30 to date all over the world - that have made judo a basic element of the education of youngsters. The launch of the programme across the country took place in Riga in the presence of 8,000 children and their teachers as well as Latvia’s President Raimonds Vējonis, the Ministers of Sports, Education and Science the concerned ministers and representatives of the National Olympic Committee. Ten schools are officially included in the programme, and step by step, the size of it will be increased. Based on the number of classes in every single school and on the fact that each class has between 24 and 30 pupils, there are already several hundred children who can benefit from the judo sessions once a week. After the launch phase, the objective is to include judo in all of Latvia’s 775 schools. In 2015, the International Judo Federation (IJF) launched a series of movies called Judo for the World (JFTW) to illustrate how judo can change the lives of young people around the globe. 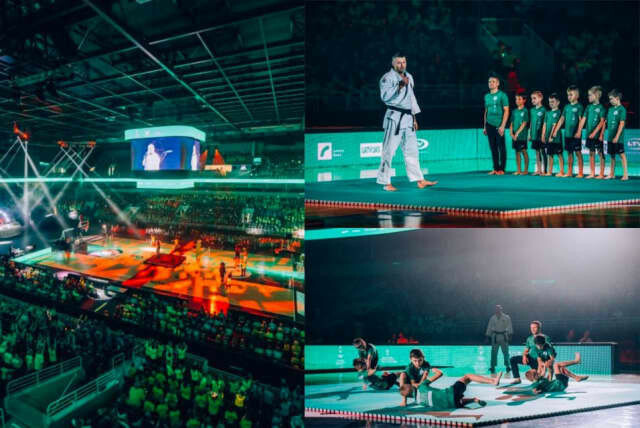 Focusing on the educational dimension of the sport, the JFTW series features children and young adults as well as "big names" of the sport, whose lives have been deeply impacted by judo. Each movie, which is five to six minutes long, focuses on different characters and show them not only on the tatami but also in their daily life and environment, with their friends and relatives. An artistic and original approach was chosen in a bid to emphasise the stories. The movies are promoted on social media, integrated into the IJF event highlights, and proposed to all television stations broadcasting judo. All episodes are set to be brought together within one single 26-minute film. In December 2018, the IJF visited the far north of Canada and met with indigenous people who are practicing judo. People from various communities came together to train in some of the country’s most isolated areas. The IJF also visited Canadian city Montreal, where a Grand Prix event will be held in July 2019. They met London 2012 Olympic bronze medallist Antoine Valois-Fortier and passionate judoka Sarah Mazouz. In August 2018, the IJF went to meet the Maddaloni's family in the heart of the popular Scampia neighbourhood in the Naples area of Italy. Confronted with serious social problems, the local population faces a sometimes complicated life. The Maddaloni Dojo is a major player in social peace. In December 2017, meanwhile, the IJF team went to Strasbourg and Paris to discover the secrets of French judo. Teddy Riner and Emilie Andeol are among the 12 judokas who won have helped towards France’s haul of 14 Olympic titles. The country has also produced dozens of world and Olympic medallists who have made history on the national and international judo landscape.